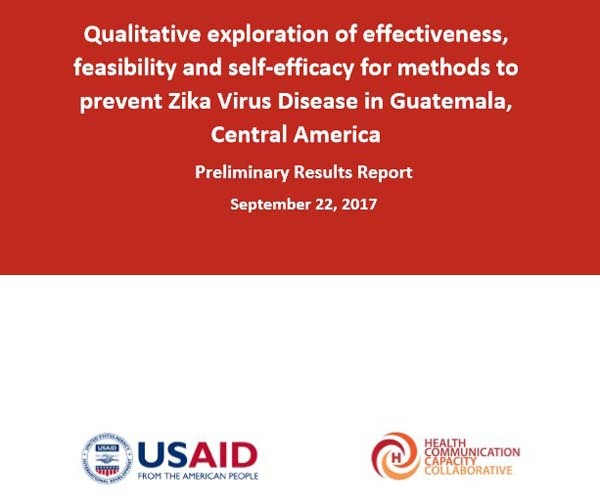 In July 2017, the Health Communication Capacity Collaborative (HC3) conducted a qualitative exploration of the perception of the effectiveness, feasibility and self-efficacy of Zika prevention actions among pregnant women, men with a pregnant partner and women likely to become pregnant in Guatemala. The research also explored the perceptions of seriousness of Zika and how it changed over the course of the outbreak. In highland and lowland areas with known Zika transmission, HC3 conducted 12 focus group discussions in which participants rank ordered prevention practices based on their perceived effectiveness, feasibility and self-efficacy. Researchers also used a free listing technique to elicit the Zika preventive actions that were salient for 68 participants. This results report (also available in Spanish) details the initial findings of the research conducted in Guatemala. The claim: “For an industry that in Texas alone aborts almost 60,000 innocent babies a year … where is the outcry for the crisis of the almost 60,000 for abortion? 04/22/2019. Download this Report (). By John Vandermosten, CFA OTC:GOVX READ THE LATEST GOVX RESEARCH REPORT GeoVax Labs, Inc.